Dark Finish Filigree Hunter Pocket Watch - Fob & Co. 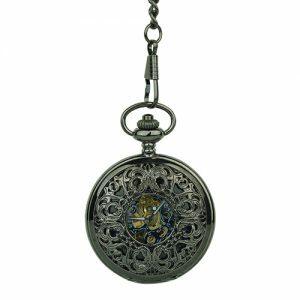 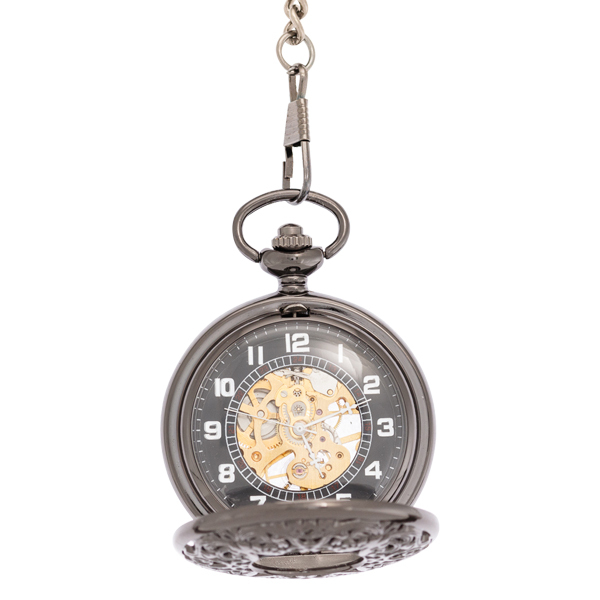 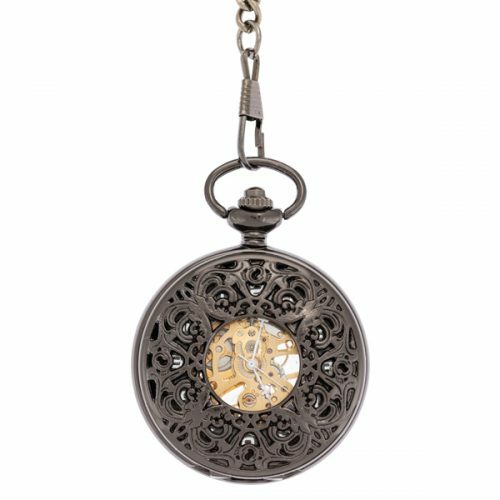 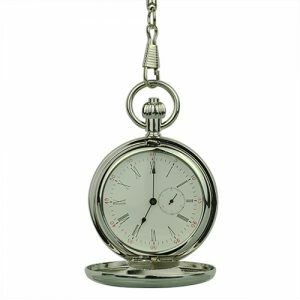 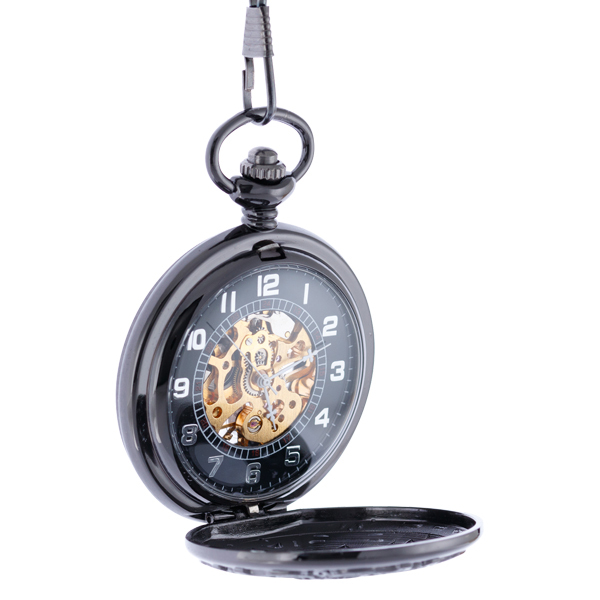 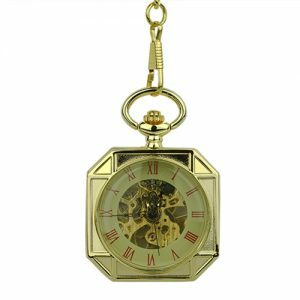 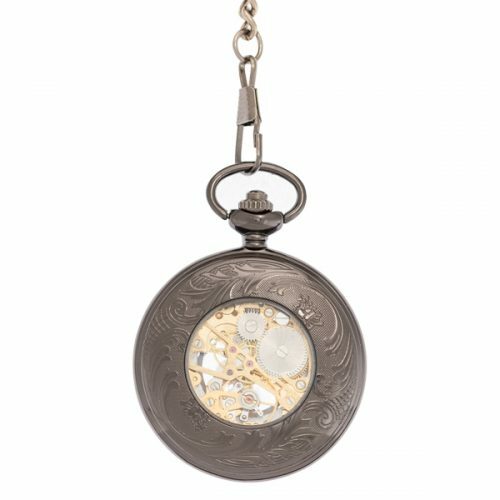 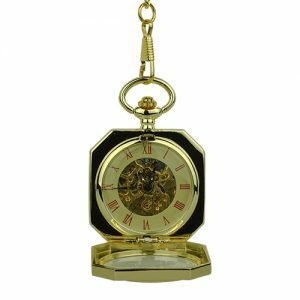 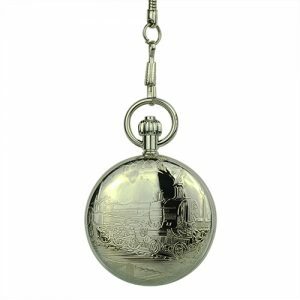 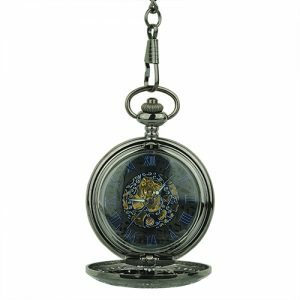 Featuring a dark metal frame, this pocket watch has a half hunter cover with an wonderful, intricate design. The viewing window reveals a see-through watch with gold-inner workings.